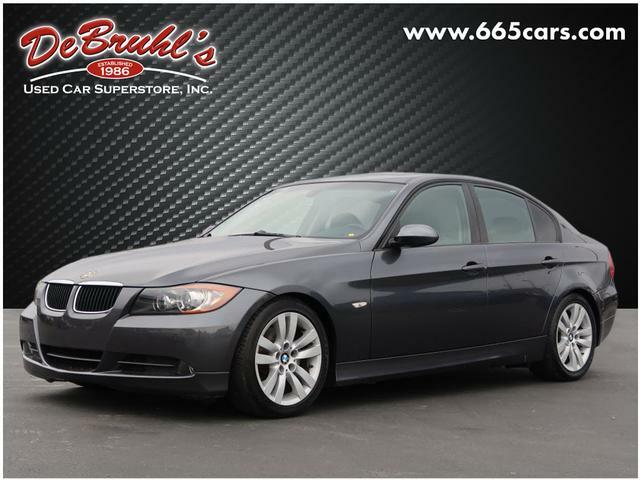 I would like to learn more about this 2008 BMW 3 Series 328i. Please contact me as soon as possible! * TELESCOPING STEERING WHEEL * * 6 Cylinder engine * * GREAT DEAL AT $10,950 * * 2008 ** BMW * * 3 Series * * 328i * If youre shopping for a quality vehicle with perks such as a push button start, a leather interior, dual climate control, heated seats, traction control, AM/FM radio and CD player, anti-lock brakes, dual airbags, and side air bag system, this 2008 BMW 3 Series 328i may be the car for you. It has a 6 Cylinder engine. With a stunning gray exterior and a gray interior, this vehicle is a top pick. Drive away with an impeccable 4-star crash test rating and prepare yourself for any situation. View this beauty and our entire inventory today! Call for more details. DeBruhls Used Car Superstore is the largest independent auto dealer in WNC! We offer a full range of financing with our guarantee credit approval, everyone is approved here.